We have 1 rustic small cabin at Elysia Resort. 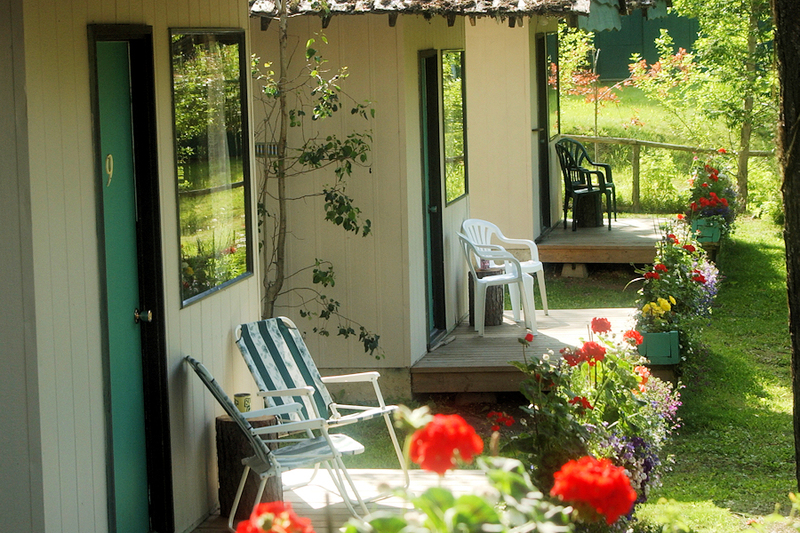 The Rustic small cabin has a fully equipped kitchen, with one double bed, cold running water and central bathhouse. Linen and towels included. Maximum 2 people. Pet friendly $5/day, maximum 1 pet. Includes: Rustic Small Cabin (as above) and all meals; breakfast, a la carte lunch and dinner (hearty packed lunches for fishermen and outdoor enthusiasts), full use of resort facilities & amenities. Includes: Rustic Small Cabin (as above) and all meals; breakfast, a la carte lunch and dinner (hearty packed lunches for fishermen and outdoor enthusiasts), full use of resort facilities & amenities. 16 foot center console boat with 50 hp Mercury motor. Fuel is extra.